Cities Skylines is an amazing city building game, but destroying them? That’s a SimCity thing. 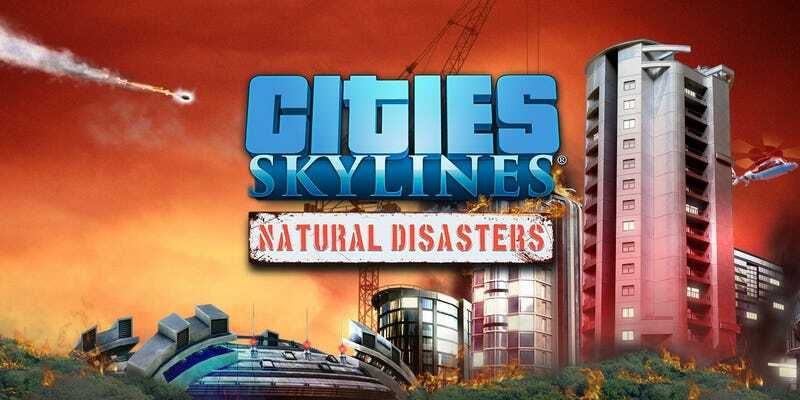 Or it was, until the announcement of Skylines’ Natural Disasters expansion. In terms of what it brings to the game, turns out there’s more to it than just watching your world burn. There’s a ton of stuff being added to Skylines (like radio broadcasts, early warning systems and evacuations) that will let you manage your way through a disaster instead of just using it for laughs. Also, one of the possible disasters is called “the day the sky exploded”. Why that wasn’t the expansion’s title, I don’t know. Natural Disasters will be out “this Winter”.